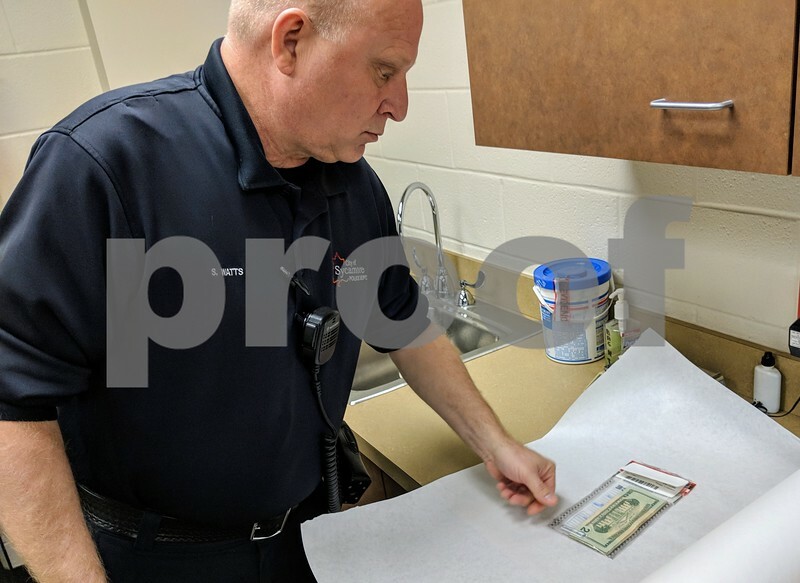 Steve Watts, community service officer at the Sycamore Police Department, shows some cash recently seized by police. Not much is kept on-site, and what is is evidence. Once property is forfeited, the police department sends it to the Illinois State Police to be distributed and deposited among police agencies.